How can communities, resource user organizations and governments together meet the capacity needs and awareness to carry out coastal management? 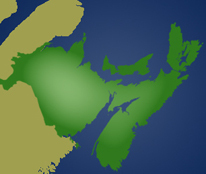 And at what scale should management take place – at the level of the community, of a stretch of coastline, of a province or of the whole Maritimes? When should management be bottom-up (community-led) and when government-led? Explore the resources available through this site including knowledge sharing and community engagement strategies. Be sure as well to watch our film: A Coastal Partnership” and look at the “People and Places” proceedings.